Ceiling fans are the best choices for both indoor and outdoor home cooling purposes. 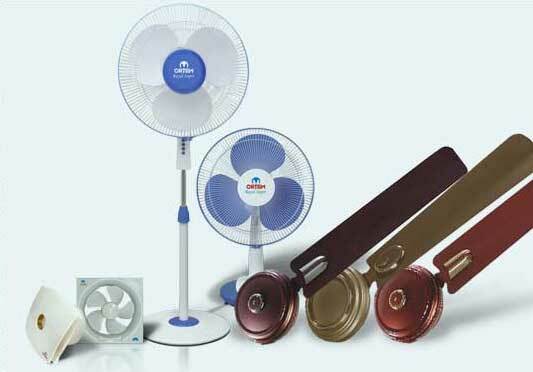 These fans generate a soft and cosy breeze while helping you to have better circulation of air inside the entire home. These days ceiling fans for kitchen are also very popular in the light of the utilities that they offer to owners. Small ceiling fans for kitchen are considered to be most suitable for kitchen they can serve the purpose in a very efficient manner. The best ceiling fans for kitchens produced by Ortem Fans come in diverse designs, variable speeds, 3 blades and 4 blades along with varied blade lengths. It would be great if we call these fans a lifeline of kitchens. Be it smoke or food aroma, they clear out everything in a very smart manner. Apart from this from the above, food preparation and cooking involves physical movements and exercises very much. With the installation of a high quality ceiling fans from Ortem, the entire ambience inside kitchen can become more cosy and comfortable. To provide its customers with an added ease and convenience, the company has established a very dealer network across the country. What�s more you can get them online also by visiting any reputed online shopping destination. As one of the top 10 fans brands in India over the past three decades, we have been setting industry benchmarks through excellence in manufacturing quality, producing premium fans that juxtapose energy efficiency, design and performance to augment your comfort level.